The beach. It doesn’t matter where you go, there is always something therapeutic about the beach. 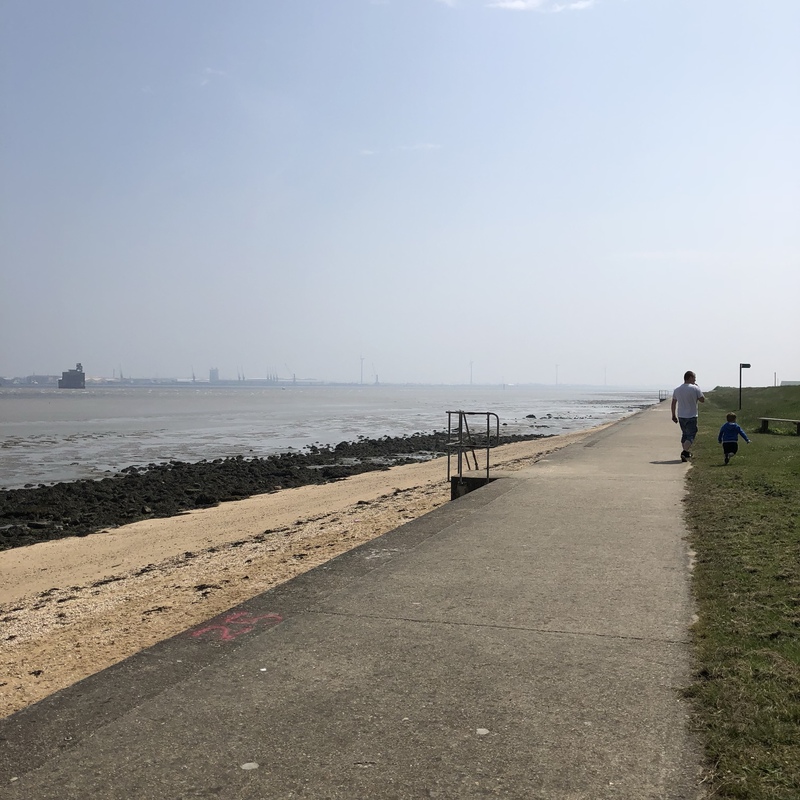 If we look at going out for the day my go to place is the seaside – for years I’ve always sought sanctuary in the feeling a trip to the beach gives me. I’ve been abroad and visited some beautiful places but deep down I’m a real home-bird. We have such a variety of landscapes across the UK and some of the most dramatic coastlines in the world. 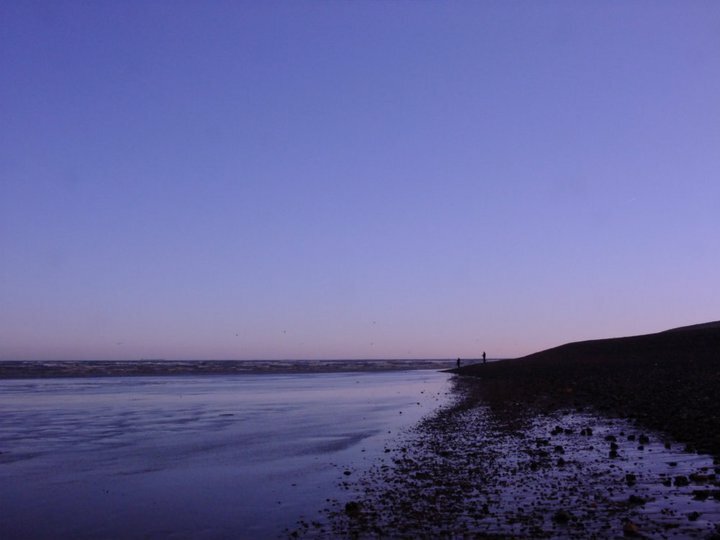 As a child my earliest memory is a day trip to Camber Sands – after setting up a blanket and parasol we discovered it was about a 2 mile walk to the sea with the tide out. Another family favourite was Dungeness – a rather bleak and strange place but one that holds a special place in my heart. Dungeness is a curious place – it’s entirely shingle and is mostly composed of wooden shack-like houses, a nuclear power station and small gauge railway. In theory it should be ugly but the remains of fishing equipment on the shingle and strange features makes it mysterious and intriguing. Years ago before the mancub came along I would spend most weekends plodding around with my camera, capturing the hidden beauty of such an extraordinary place. Having been born in Kent and having lived here my whole life of course Kentish beaches will rank high – another relatively new discovery to us is the Isle of Grain – my dad calls it the armpit of the South East(sorry Grain people) however we stumbled across it by chance when we were looking for a beach we could visit in the Summer months with the dog. 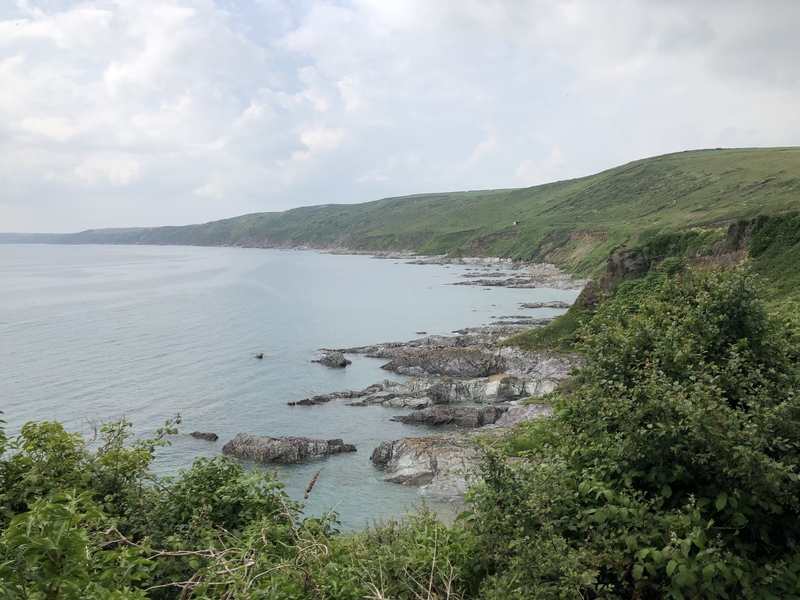 There is no beach as such – it’s just a coastal path but it has some of the most impressive historical fortifications and remains I’ve seen. 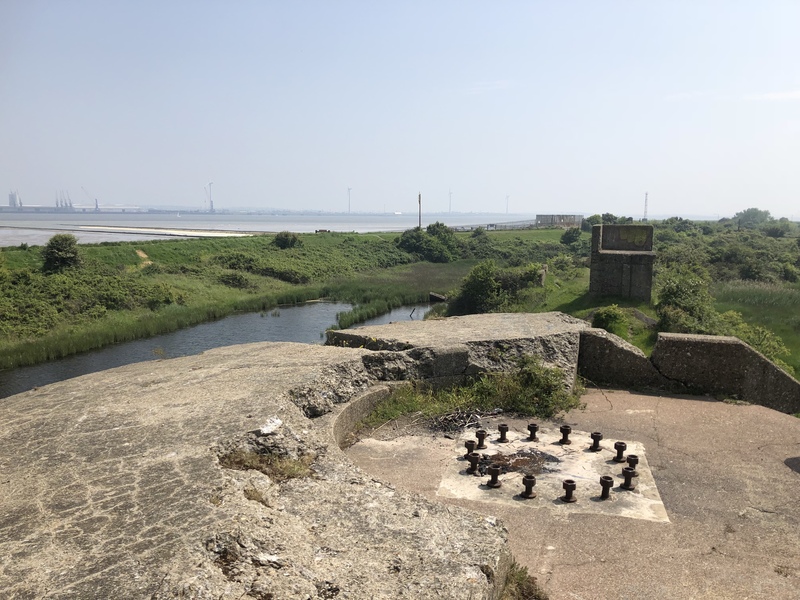 Out to sea is the long-abandoned and, well, quite ugly Grain Tower; within the coastal park are tunnels from a long-demolished Napoleonic fort and we also stumbled across Dummy Battery, a half-demolished gun emplacement and battery dating from the 1800s. 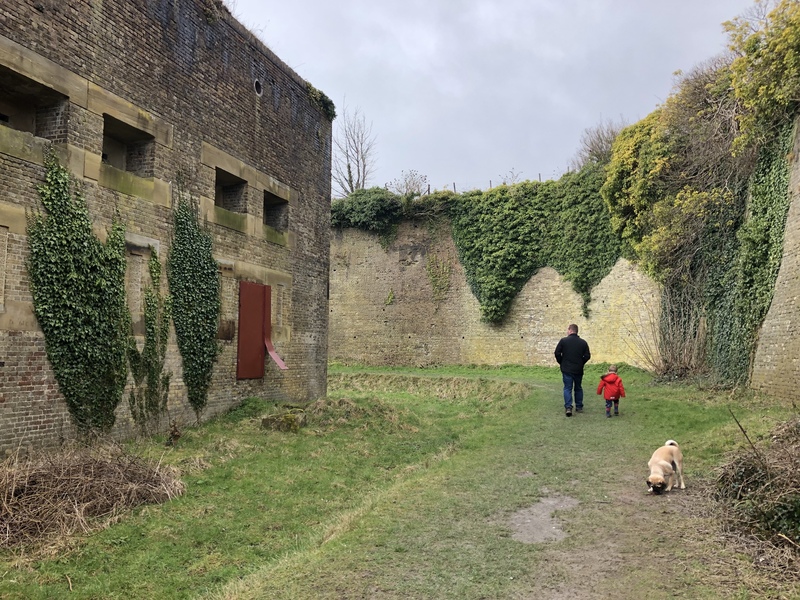 Another hidden gem is the Western Heights at Dover – situated on the opposite cliff to the Castle are a number of forts, Second World War remains and buildings and even a massive chalk staircase called The Grand Shaft. You can park cheaply and spend all day wandering around the ditches and footpaths. And that is what is so fascinating to me – a beach doesn’t have to have golden sands and turquoise seas to be beautiful. 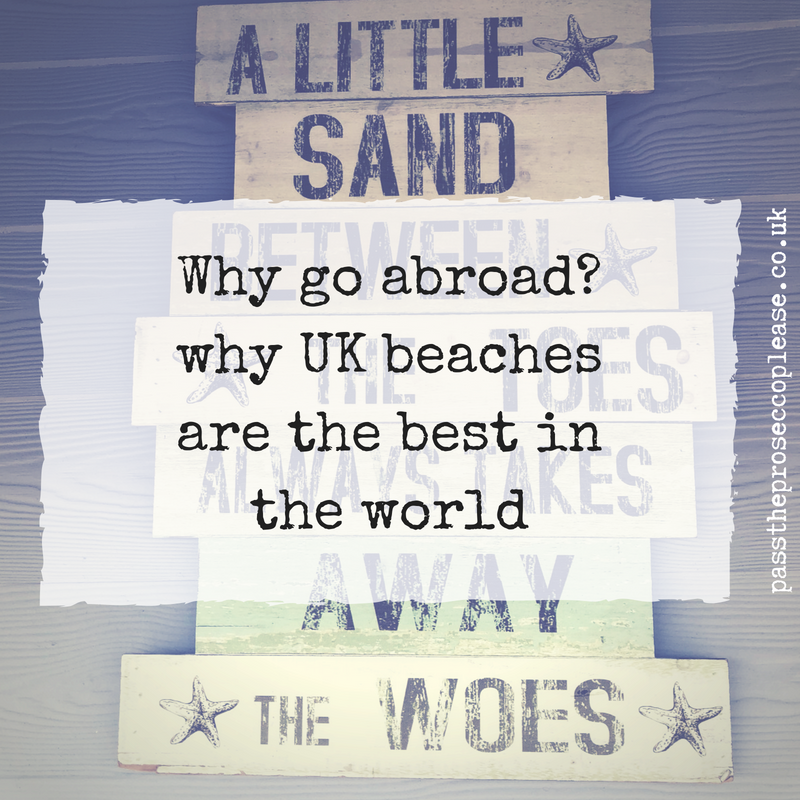 The UK has some amazing beaches and you don’t have to go very far to find one; sand, shingle, arcades or just scenery – there is so much to see and do. 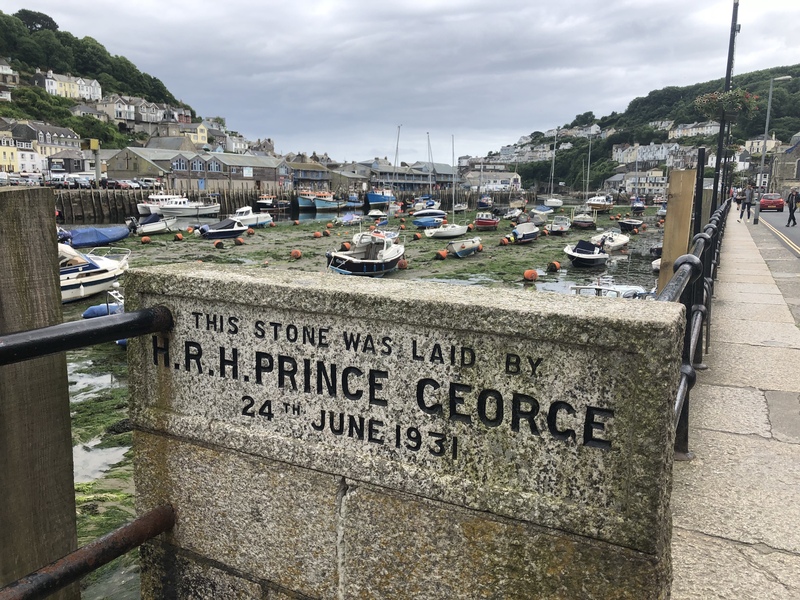 We visited Cornwall for a week this year and stayed in Looe, which has a beautiful coastal harbour and finishing village. Downderry has a rugged beach with lots of shells and rock pools. 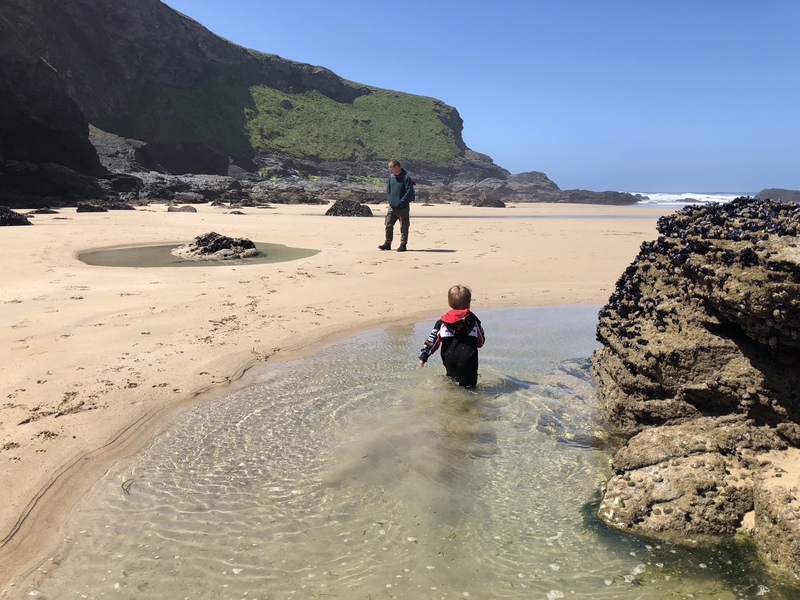 Mawgan Porth is sandy and absolutely breathtaking and Fowey is a fishing village with winding cobbled streets and lopsided cottages. Polperro has caves and was once a haven for smuggling. 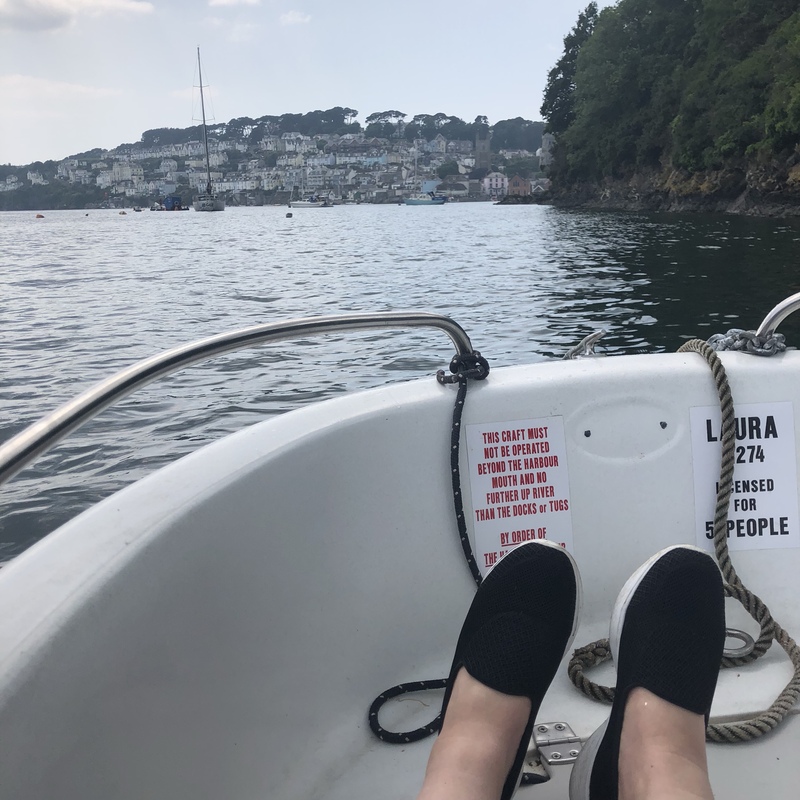 Last but not least we were lucky enough to attend a family wedding at Torpoint; a peculiar place with a holiday park in a fort and a rugged, wild coastline. 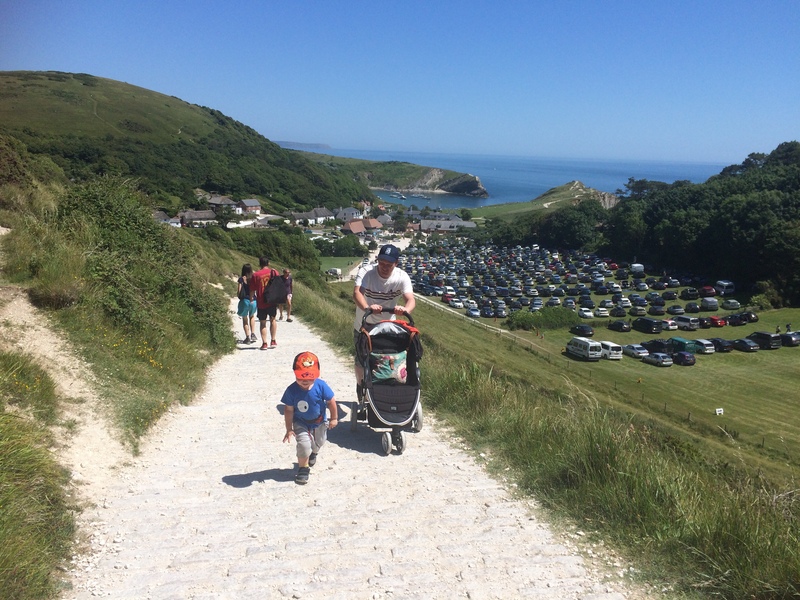 Lulworth Cove is one of the most stunning places I’ve ever visited; the walk to the top of the cliff to see the famous Durdle Door is an absolute killer but the views from the top are well worth every puff. The Swannery at Abbotsbury is not strictly a beach – it’s a haven for birds and swans in the Fleet Lagoon and it’s so quiet and peaceful and well worth a visit. 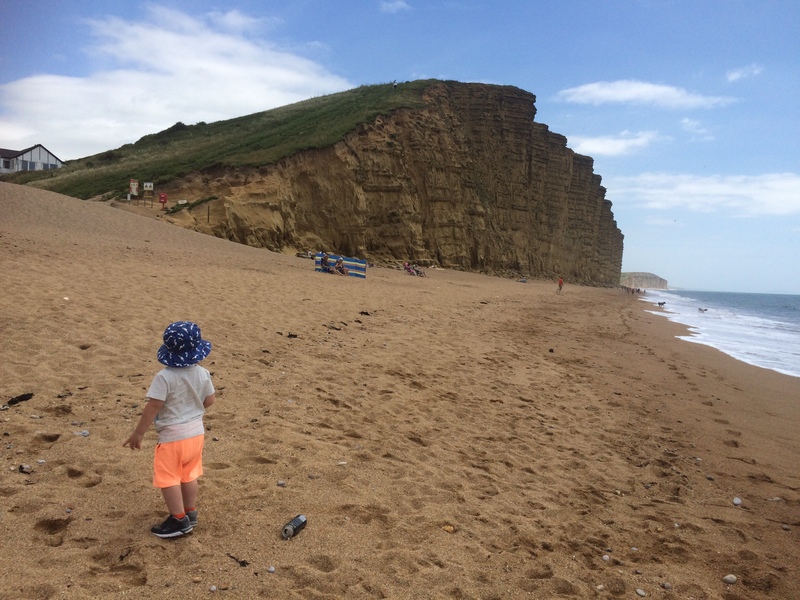 West Bay shot to fame in the 1990s TV show Harbour Lights and more recently the epic Broadchurch – the sheer size of the cliffs is breathtaking and the harbour arm is also worth a look. We are lucky enough to have family on the Isle of Wight and the view of the sea from the clifftop at Lake is my favourite in the world. The walk from Shanklin to Sandown is flat and the views are incredible. 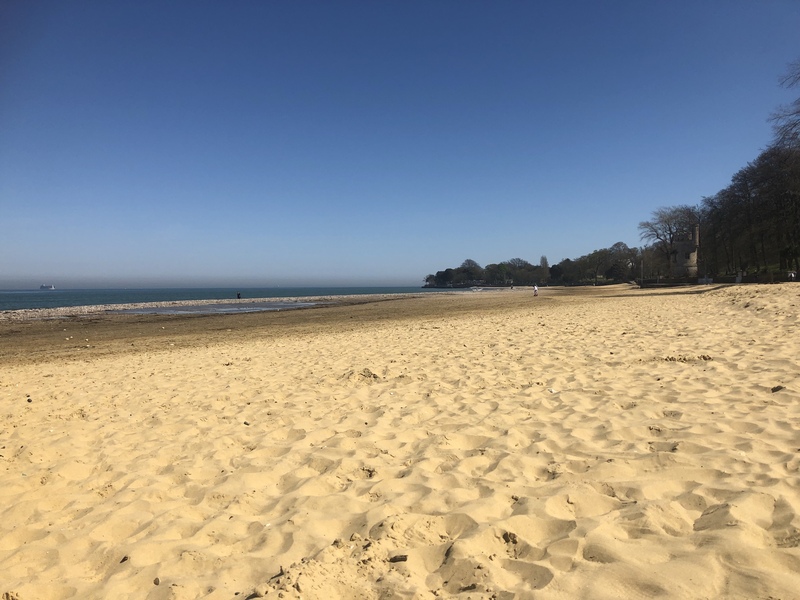 Appley Beach near Ryde is sandy and the perfect place to spend a day. 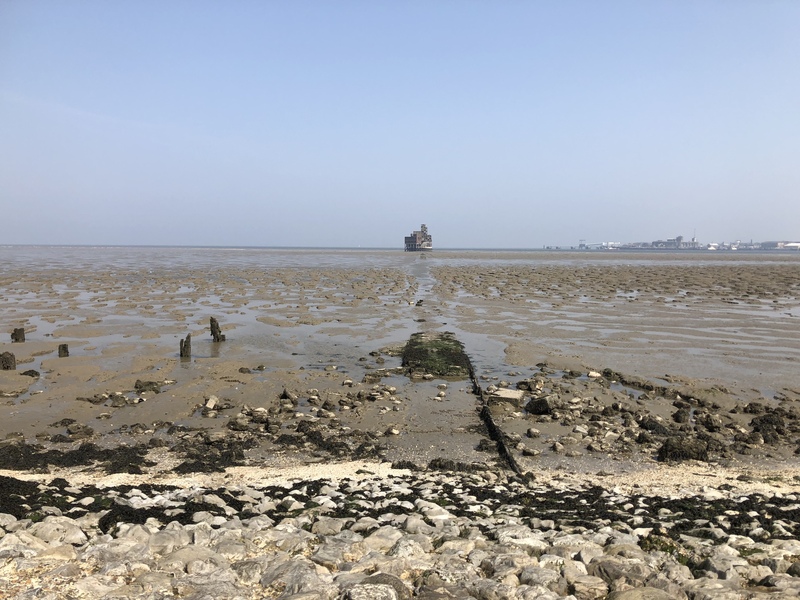 Bembridge is known for it’s sea food and lifeboat station; and the Military Road from Blackgang to Freshwater is an epic drive in good weather. 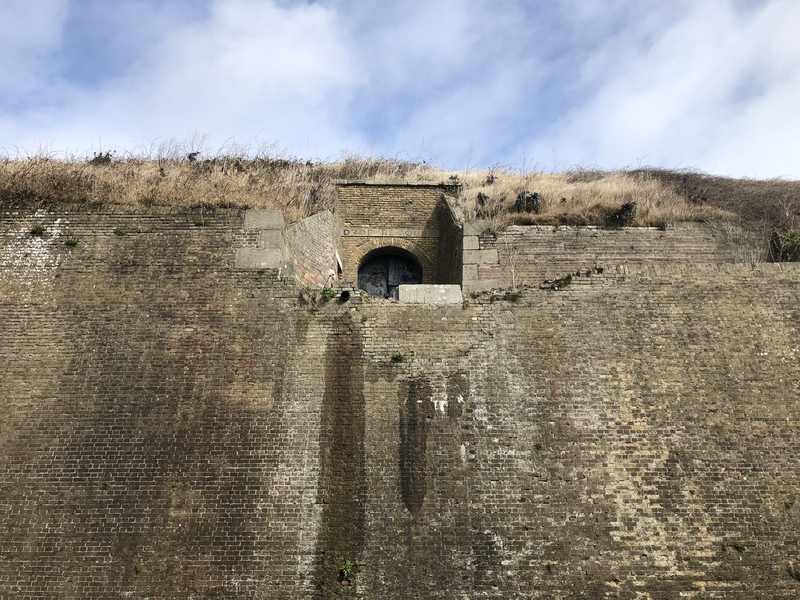 Ventnor is a curious place – situated ‘undercliff’ it has a unique climate and housed a large chest hospital(now the Botanic Gardens) due to it’s geography. I visited North Berwick with a friend in my teens and fell in love with it’s gloomy, ragged landscape. 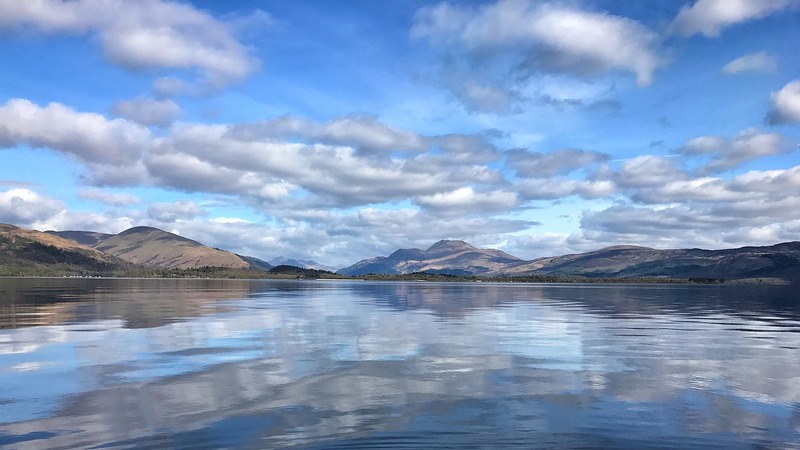 Inland, althought not strictly beaches in the usual sense there are hundreds of waterways and lochs to see; I drove from Loch Lomond to the Isle of Skye via Glencoe and Glenelg many years ago and the mountains and scenery is beautiful, beyond belief. 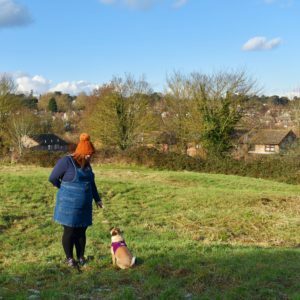 So why go abroad when there are so many beautiful places to see at home? 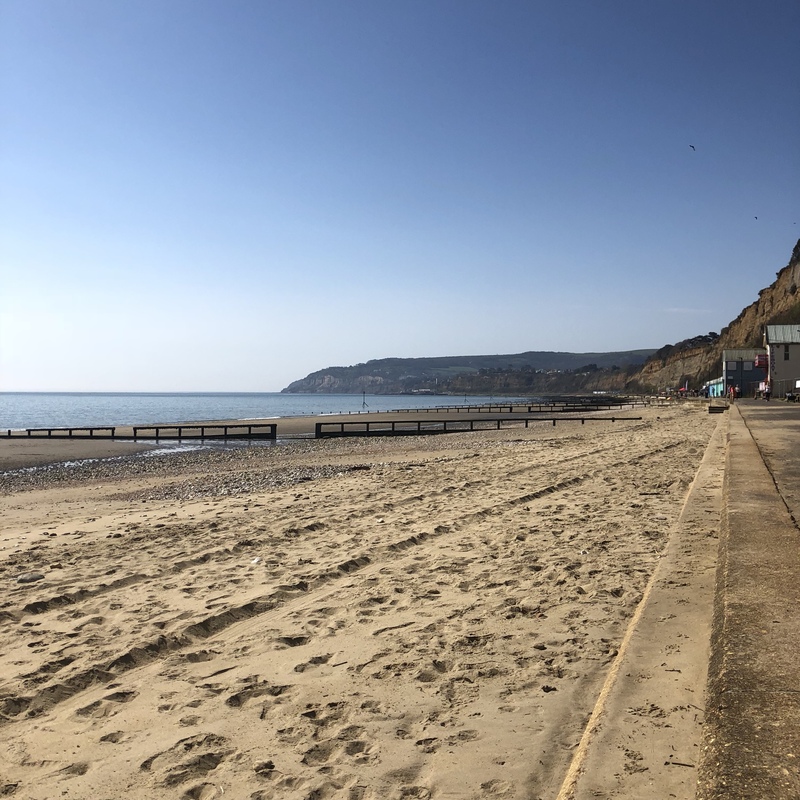 The beach will always be my special place – and with so many beautiful places to choose from you don’t have to go far to find sand, sea and sunshine.